It’s unlike anything we’ve ever seen. MASSIVE anonymous trades that have a predictable impact on the stock market are now being placed. One that regular investors are locked out of. And, most importantly, YOU can use them to predict several days in advance which stocks are about to soar. Here’s a Dark Trade confirmation ticket of Edwards Lifesciences from early February of 2016. Now, this might be difficult for most people to decode. 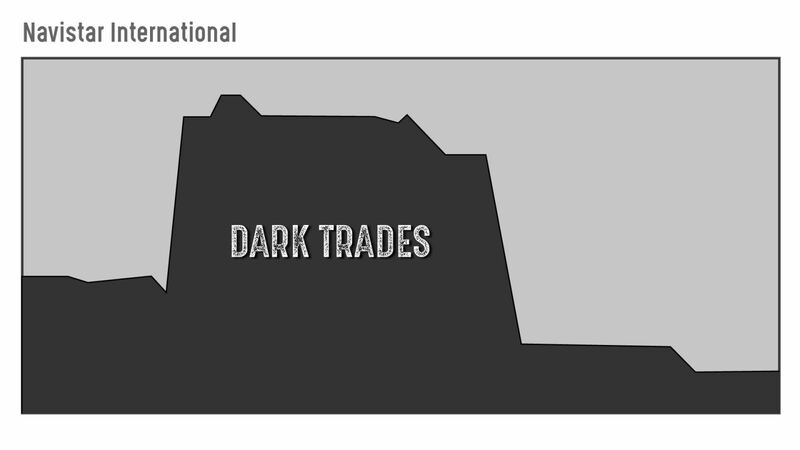 But to a trained professional, that ticket reveals unusual Dark Trade activity... MASSIVE sums of money being traded in Edwards Lifesciences. 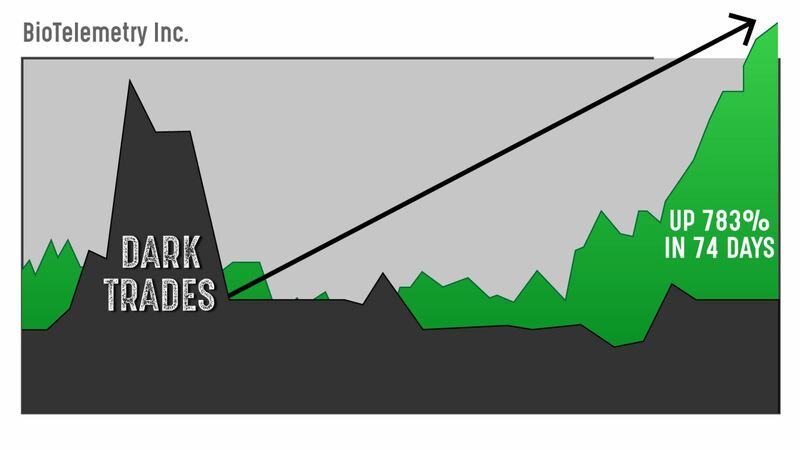 It’s easier to visualize using a chart. 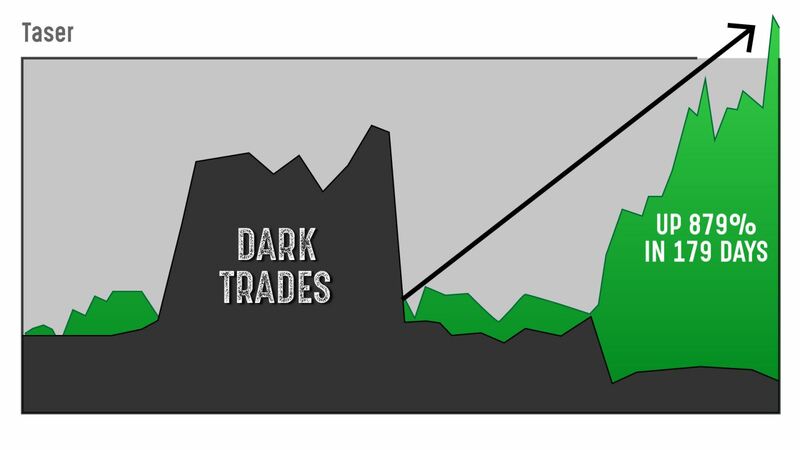 See when Dark Trade activity peaked? 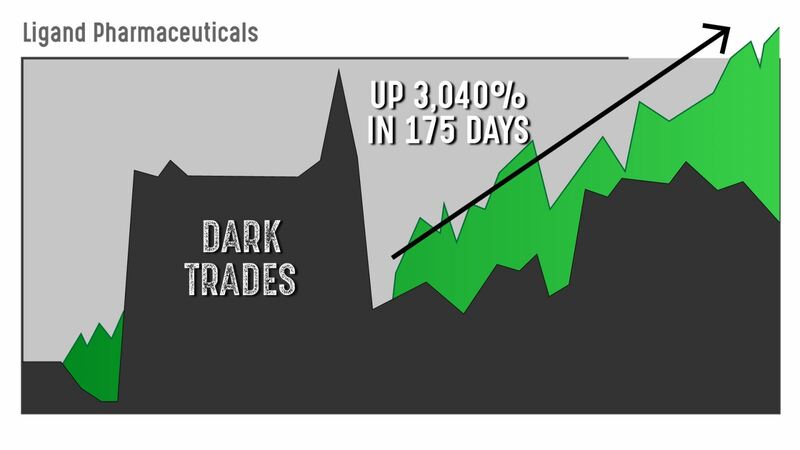 This chart shows that very large anonymous trades were placed on the “dark market” for Edwards Lifesciences. 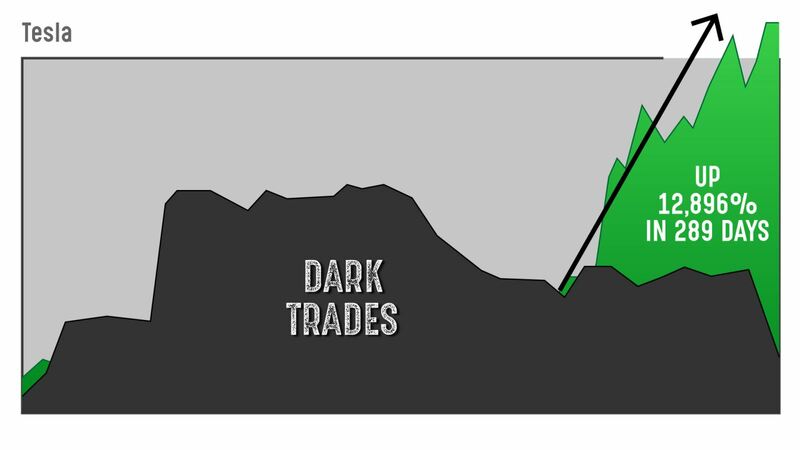 Now let’s overlay this Dark Trade chart with the price chart in green from the “regular market” to see what happened next. 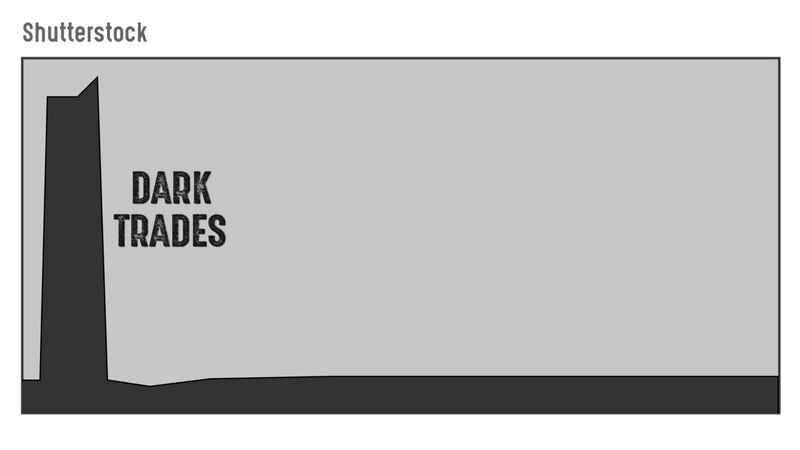 The BLACK chart represents the dark trade market activity. 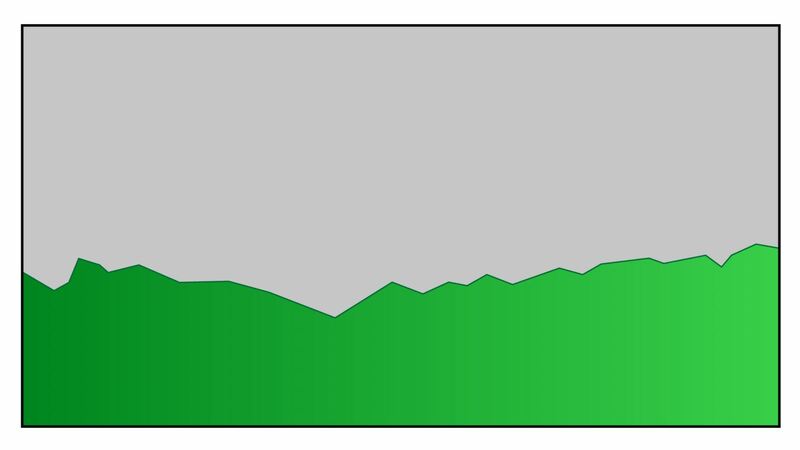 The GREEN chart represents the stock’s price in the regular stock market. BUT – and this is the most important part – it jumped AFTER the Dark Trades took place. 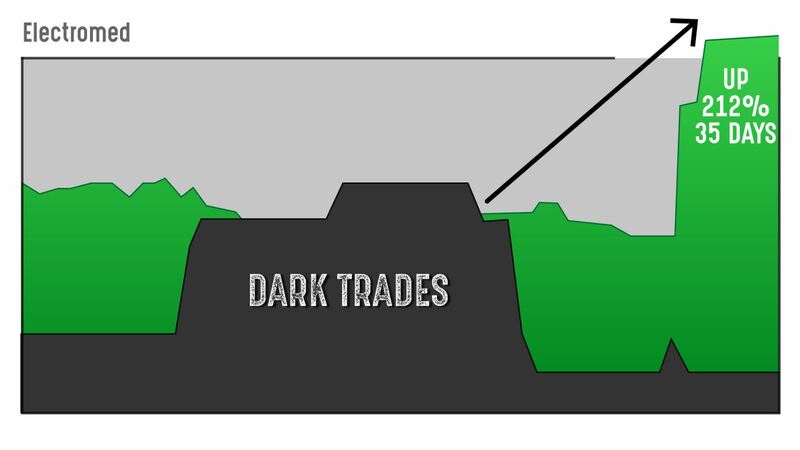 Once these Dark Trades are in place, you move quickly. We call it “shadowing” the trade... because you are essentially following what Wall Street insiders in this market are doing. This allows you to make a special type of “shadow trade” that maximizes potential gains. 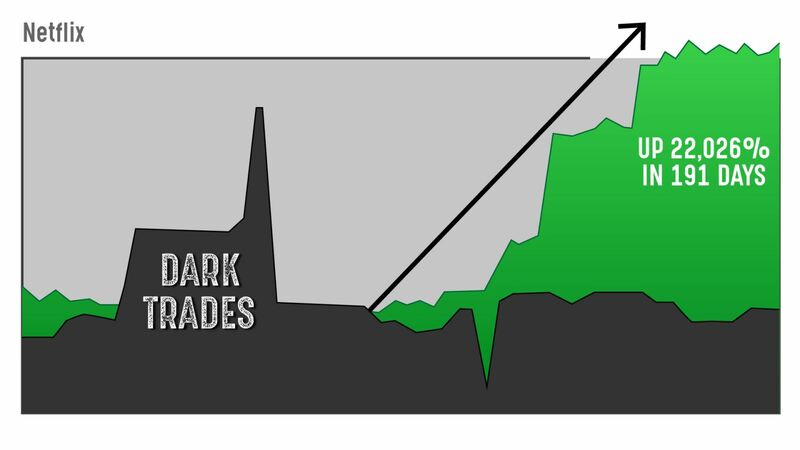 As you saw the Dark Trades taking place, you could’ve used a shadow trade on the regular market to capture a 536% gain in just 109 days. That’s $53,600 in pure profit on a $10,000 investment. It’s incredibly easy to collect big paydays if you know how to decode these trades. 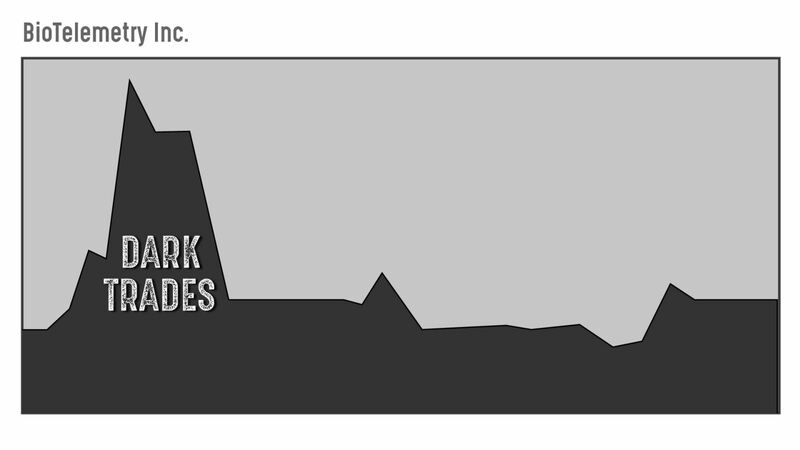 First, the Dark Trade activity in BLACK takes off in this dark market. Then, in the days following, the price in GREEN rises in the regular stock market. You can identify tomorrow’s Wall Street darlings TODAY. 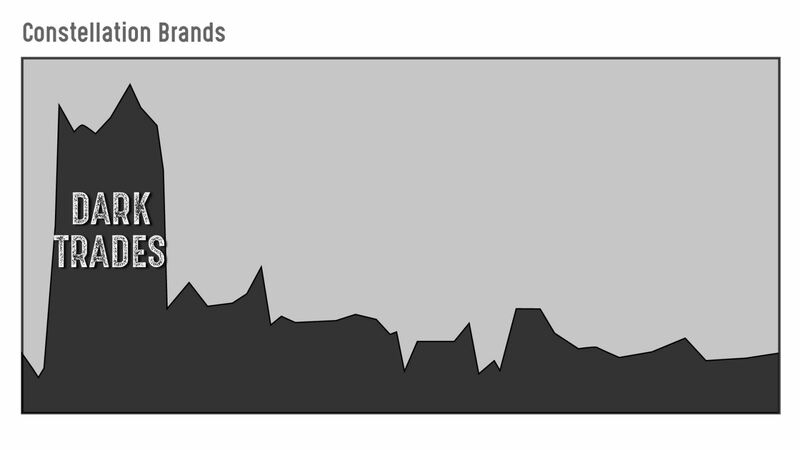 In November of 2015, Dark Trade activity started spiking in Electromed. It reached a critical peak on February 1. And then watched your Electromed position quickly race up and hand you a 212% gain in just 35 days. Let’s look at yet another example with Navistar International. 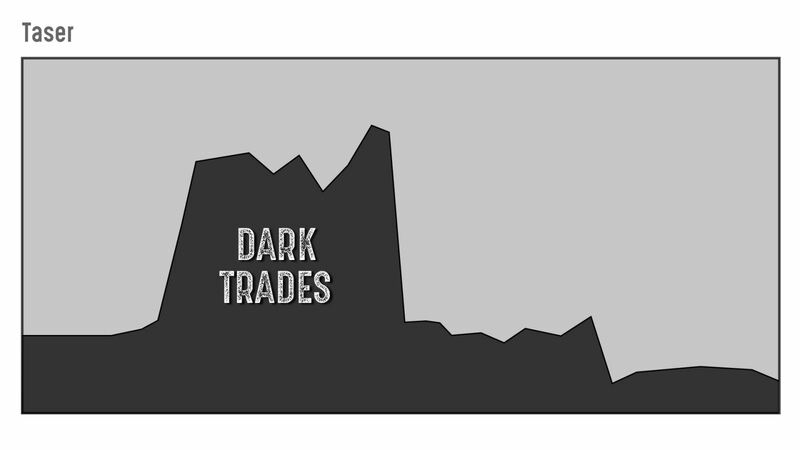 You can see the Dark Trade volume suddenly peaked in March and April of 2016. And less than seven months later, on September 21, 2016, you could have collected a 164% gain following this activity. 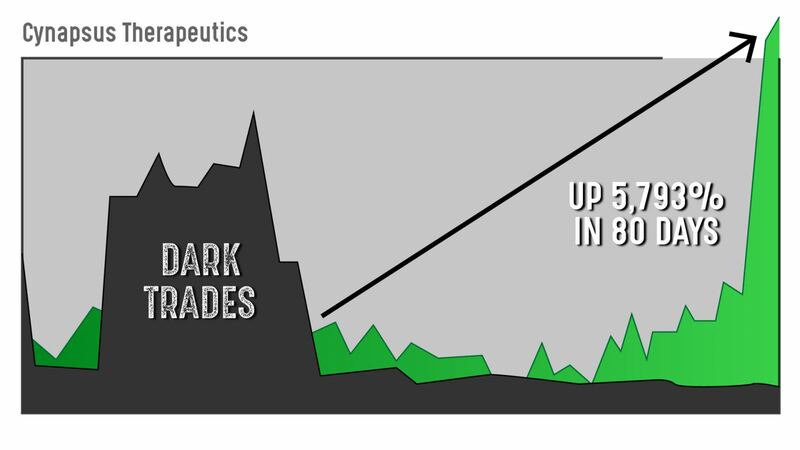 There are Dark Trades building up right now in another stock. And I’ll share more details on this situation in a moment. It could hand you $80,100 over the coming weeks. 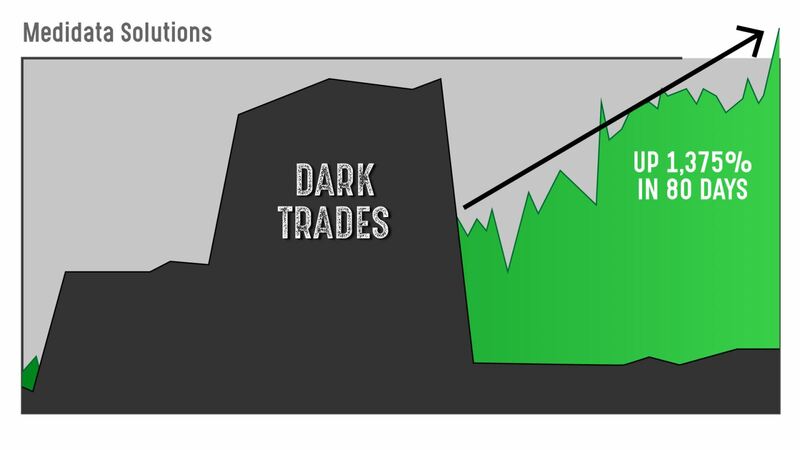 But let’s keep going... because the dark market where these trades take place never sleeps. My name is David Baumann. To bring you the details behind this $80,100 opportunity. Today, for the first time, I’m going to expose all of the Dark Trade secrets I learned from my investigation. And I’ve pressed them to reveal exactly how they’ve made their millions. But this might be the biggest profit opportunity I’ve uncovered as the Chief Media Analyst of The Oxford Club. Away from the spotlights of the Nasdaq, Dow Jones and NYSE. And those who do are generally unwilling to talk about it. But during my investigation, I was fortunate enough to track down one very successful former Wall Street money manager who was willing to show me how it works. In a closed-door gathering of 100 or so high-level investors, I asked him to tell me about these Dark Trades. Imagine knowing today... what’s going to happen next week in the stock market. 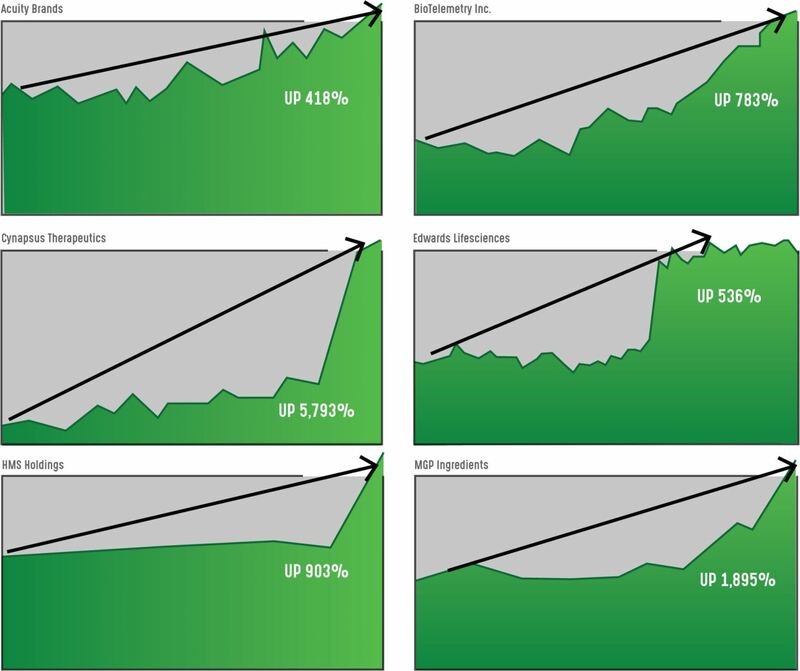 Trades in this dark market can PREDICT several days in advance which stocks are about to soar in the regular stock market. But I wanted to see for myself how... and if... this technique really worked. After the conference was over, I walked up to the gentleman and asked for more. I asked if he could actually prove that these Dark Trades consistently predict big gains on the traditional stock market. So, hours after the meeting, I checked on the ticker symbols of four stocks. The pattern was clear... and the gains incredible. In case you don’t know, Shutterstock is a company that provides an online marketplace for professional images and videos. 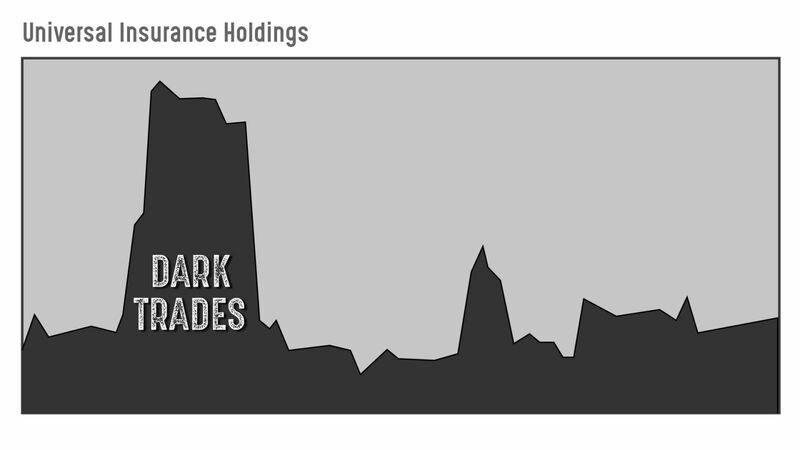 It’s a chart of Dark Trade volume in Shutterstock. Now, while this was happening, 99.9% of regular investors had no way of detecting this activity. You could have made a massive profit. 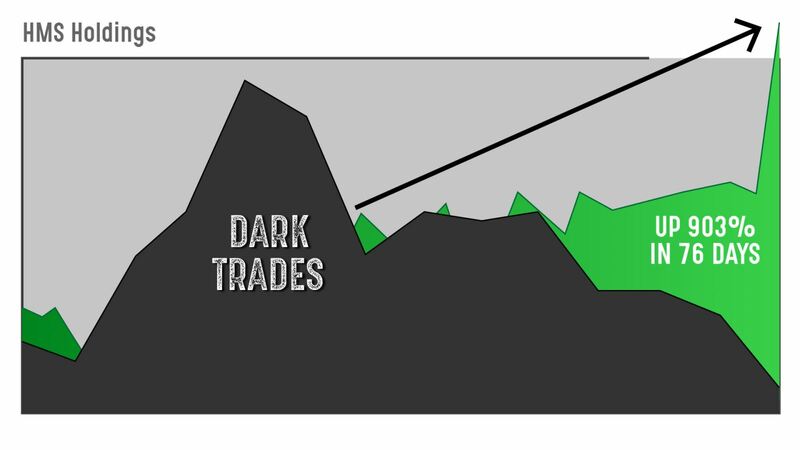 Just weeks after these Dark Trades were placed, the price on the regular market started a rapid rise. 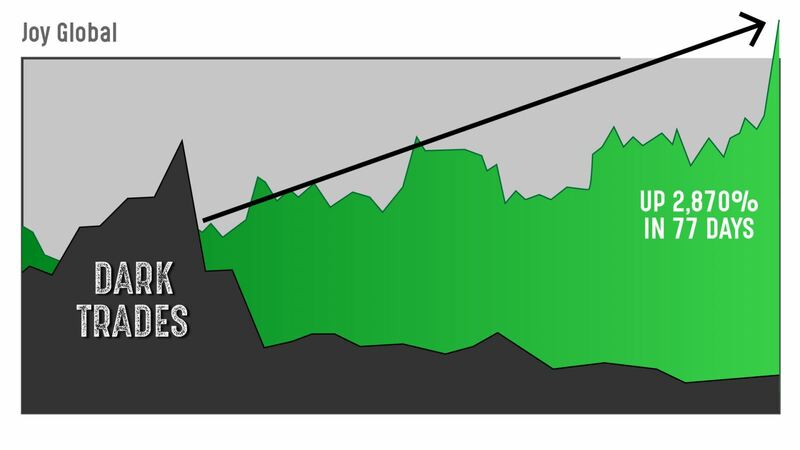 The green line shows you could have scored a 301% profit as the price ran up. That’s a $30,100 profit on a $10,000 investment. And then make shadow trades right before the prices start soaring in the regular market over the following days and weeks. 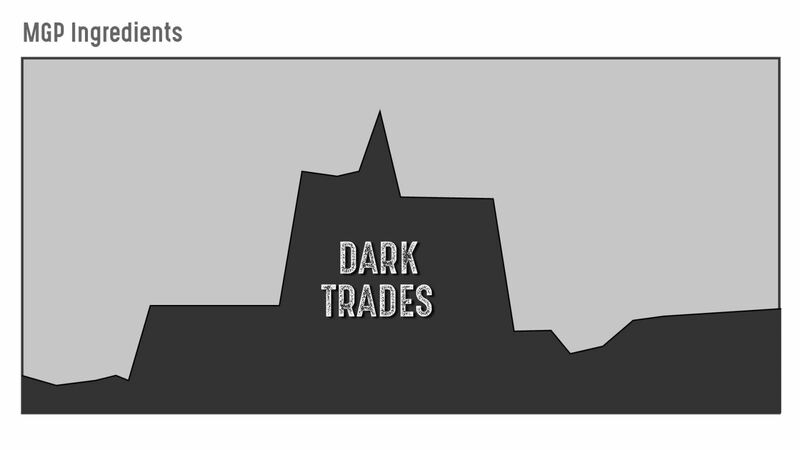 In February 2015, you can see unusual Dark Trade activity peaking. If you had been watching the regular stock at the time, you never would have noticed. But you can see what happened next. The price spiked right AFTER the Dark Trades took place. Had you made a shadow trade on February 9, you could have pocketed a 783% gain. That’s $78,300 in take-home profits on a $10,000 investment. The third example he showed me was Universal Insurance Holdings. 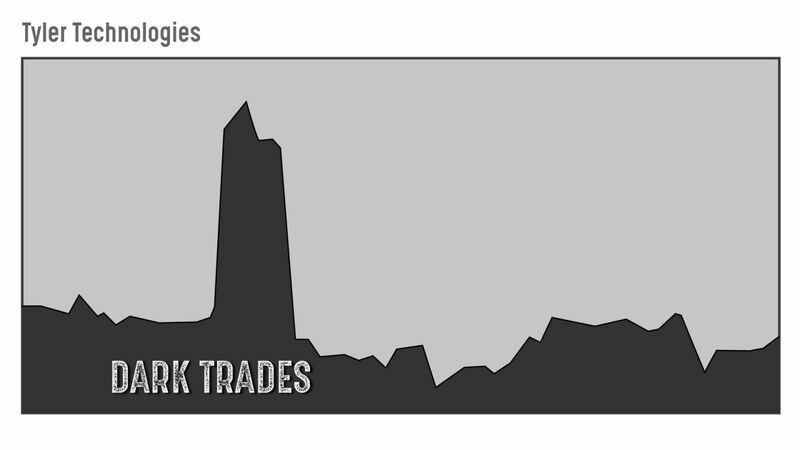 You can see Dark Trade activity spiking on June 1, 2014. And sure enough, the price started moving higher not long afterward. You could have shadow-traded it to make an extraordinary 1,197% gain in 173 days. That’s a $119,700 profit on a $10,000 investment. All you had to do was spot those trades. I’ve shadow-traded and made a 1,895% gain in 117 days. That’s an extraordinary $189,500 in profits on a $10,000 investment. If I had made all four of these shadow trades this gentleman gave to me, I’d be sitting on $417,600 in pure profit. So I continued to follow him. And in a minute, I’m going to show you what he taught me and how you can follow a Dark Trade yourself. I’ll give you the details on a single company that just saw a serious spike in Dark Trade activity. And it could hand you $80,100 when it does. But first you need to know more about how this incredible market works. During a follow-up meeting with this former Wall Street wizard, I asked him why this dark market even exists... and why I hadn’t heard about this yet. You see, elite institutional funds often manage billions of dollars. They’re not like regular investors who might buy only 100 shares at a time. They’re looking to buy blocks of tens of thousands... even MILLIONS of shares in a very short time. Now, in the past, firms making purchases this big would run the risk of driving up the stock’s price. And get this... if one of these firms were to buy 2 million shares of a $10 stock, and they saved $0.50 on each share, that would result in an extra million dollars in pure profits. The Wall Street institutions obviously want to ensure they take home every last penny. Not long ago, these powerful insiders decided to set up their own dark markets to buy and sell stocks. You didn’t read or hear about this. They gathered discreetly, behind closed doors on Wall Street and in Washington, D.C.
They’ve created a series of markets that allow them to anonymously trade massive amounts before regular investors even know what’s happening. Today, no fewer than 81 different markets allow institutions to operate in stealth mode. In these new markets, they can buy millions of shares of stock in a Dark Trade without pushing up the price... or losing any profit margin. They get in on the cheap, and then only AFTER the trade is complete do they run the price up. It’s an incredible advantage for big trading firms. They get in at the best price and then enjoy profiting from the run-up. The SEC estimates more than $229 billion is traded in the dark market each week. Instead, they get it cheaper and make billions more in profits for their firm by undercutting the regular market. If you’re able to find out about these Dark Trades as they happen, you can enjoy a similar advantage. You can make a lot of money faster than you ever imagined possible by simply getting in before the stock price inevitably shoots higher. 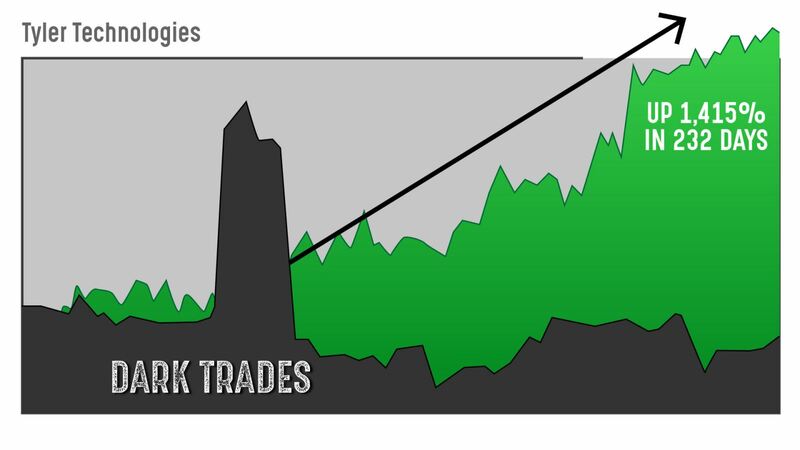 Take a closer look at these trading spikes we just saw in the four dark market examples we looked at. You can see that while these huge Dark Trades were being made, the stock was trading nearly sideways in the regular market. Regular people didn’t know what was about to happen, but insiders certainly did. And seemingly out of nowhere, the price suddenly leapt higher. 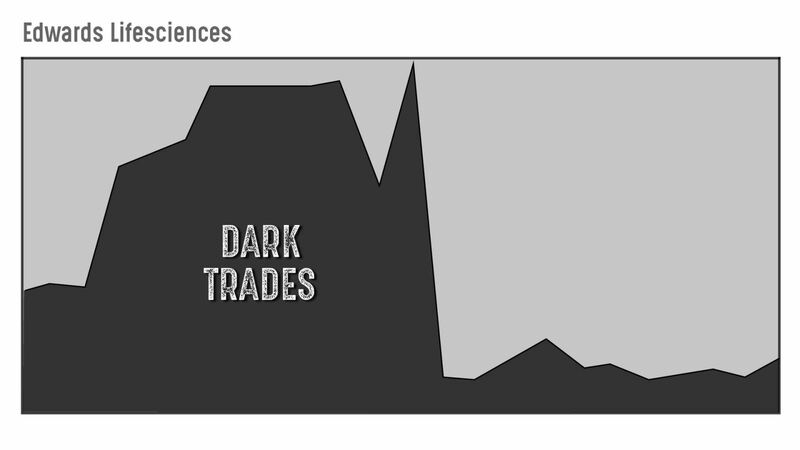 And that almost ALWAYS happens after a dark trade. Once the Dark Trade is complete and the money is in, the same institutional firms use every trick in the book to drive the price higher in the regular markets. Brokers call clients to push the stock. Mutual funds enter positions on the regular stock market... pushing it higher on volume. Market makers bid up the stock’s price on the exchange. 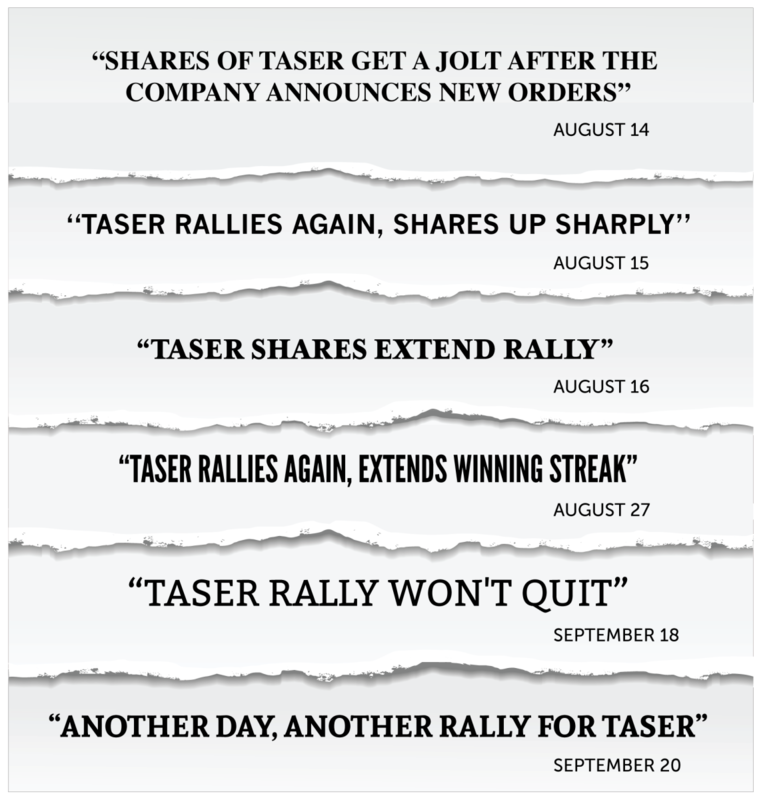 Analysts issue buy recommendations... and release positive stories to the financial media. This is how Wall Street fosters its own interests... and rigs the market against the individual investor. But now you can use this knowledge. 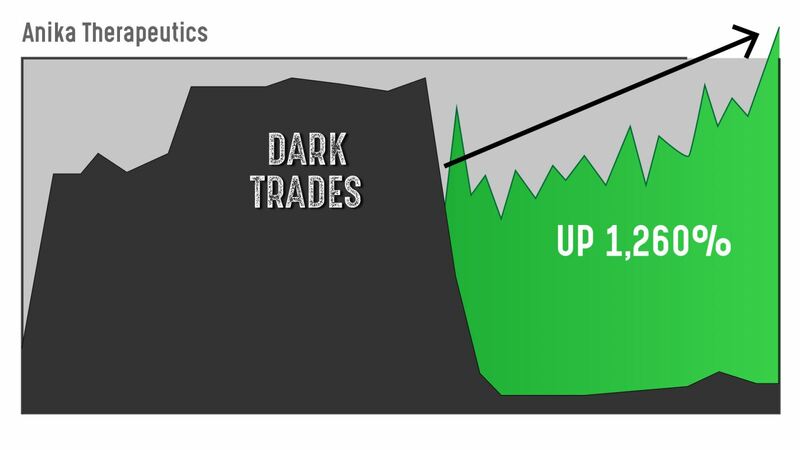 All you have to do is get in when Dark Trades take place... and go along for the ride when the regular stock launches higher. You could even turn $10,000 into $1.2 million. Like this extraordinary gain of 12,896% in Tesla. What was happening in the dark market. If you look back, you can see that the stock hadn’t moved for three years after its IPO. Then the price suddenly came to life. And what happened before this incredible run-up? Between January and March of 2013, Cupps Capital Management, Route One Investment Company, Adage Capital Management and others purchased more than a million shares. Yet the stock price chart remained flat until AFTER their Dark Trade was complete. But once it was in place, the Wall Street machine set to work driving the price higher... handing those firms a huge payday. However, if you had made a shadow trade to profit alongside the trading firms, you could have captured an exceptional 12,896% gain in 289 days. In well under a year. 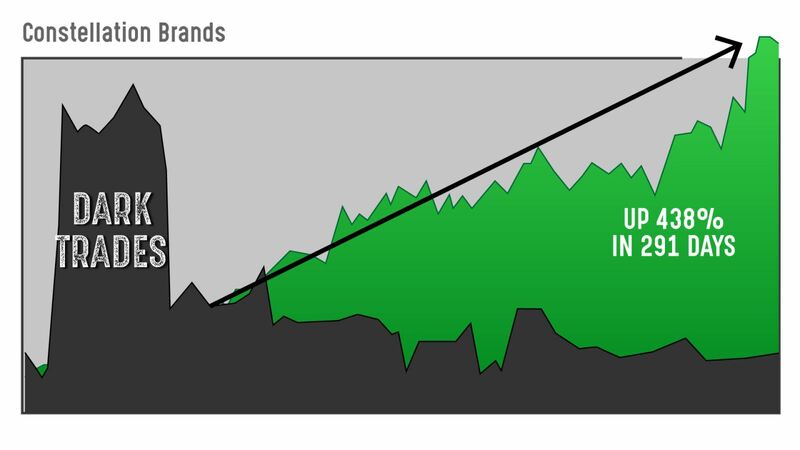 Rather, this is a special kind of shadow trade to maximize the potential gain from the “inevitable” rise. Unfortunately, most regular investors miss out on these incredible run-ups. But the man I interviewed is now sharing his secret. And he’s also blowing the lid off an $80,100 opportunity. 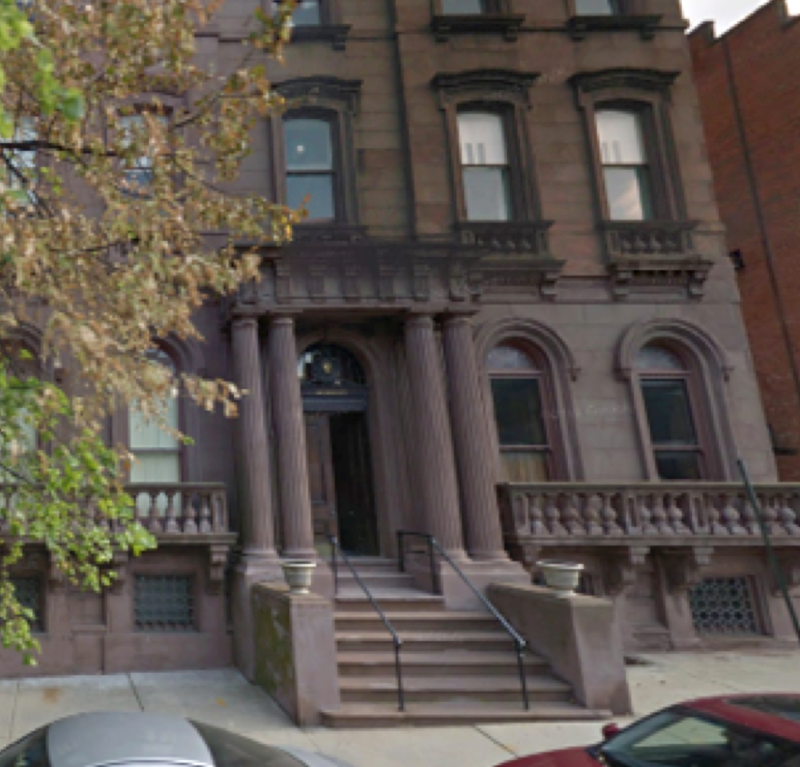 This former Wall Street money manager works out of this brownstone in the historic Mount Vernon neighborhood of Baltimore. But on the other side of this door, he orchestrates a team of analysts who uncover the market’s latest Dark Trade opportunities. This data is only found on one obscure web portal... And even then, it requires someone familiar with the market to decode it, compile it and act on it. 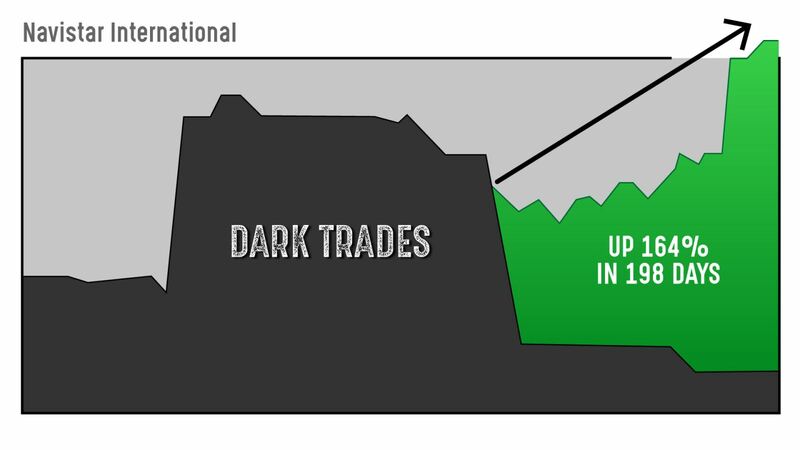 Including $21 billion in Dark Trades every week. You might already know him as the Chief Investment Strategist here at The Oxford Club. 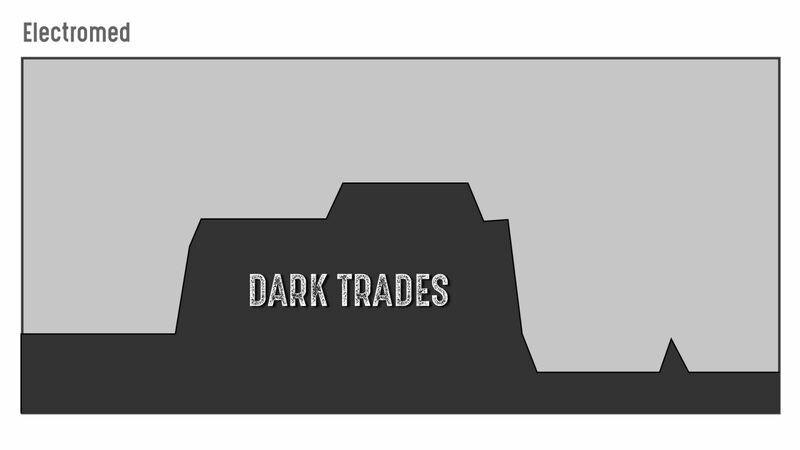 But until today, you likely hadn’t heard about Alex’s new project to track the Dark Trade market. 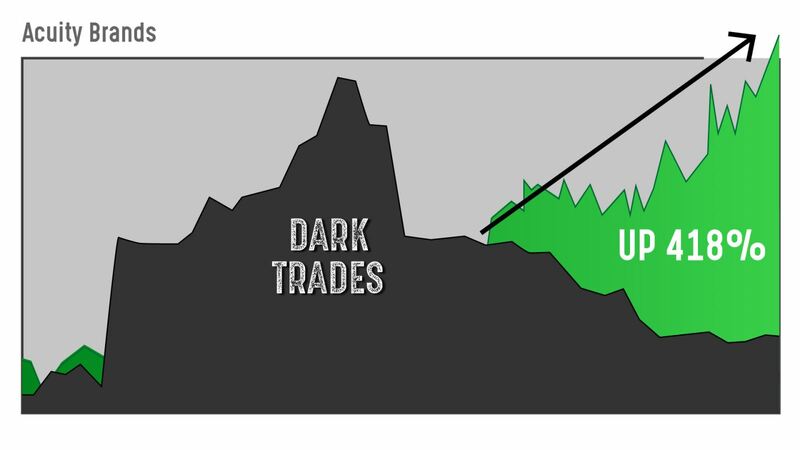 When Alex and his team detect a big trade happening in the dark market, they can show you exactly how to profit from it with what he calls a shadow trade. Over the years, Alex’s research has led Oxford Club Members to some life-changing gains. In short, his special project shows you Wall Street’s darlings of tomorrow... TODAY. And there’s an $80,100 opportunity setting up right now. Before I get to it... let’s look a little closer at how Wall Street runs these stocks up... so you can see what’s really going on. Take a company like Constellation Brands. Back in 2012, it was an unknown wine distributor... but today, it distributes more than 24 brands of mass-market wine in seven countries. Followed by George Soros’ family office... which upped his position by 68%. In total... these four firms invested $915 million. 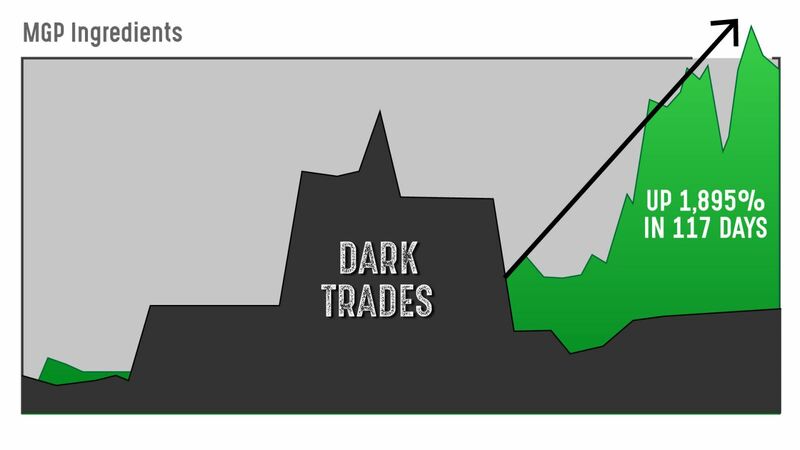 You can see the Dark Trade anomaly in black moved along... while the stock on the regular market still traded sideways. With a shadow trade, you could have made a 438% profit. You’ll see the same thing with Taser. And once it was complete, the Wall Street machine sprang into action to take the stock higher. That’s $87,900 in profits in your pocket on a $10,000 investment in just 179 days. At the opening of 2015, Brown Capital Management, Taylor Wealth Management Partners and Bainco International Investors started it all off. Together, they took a large stake in the company. Again, once these Dark Trades were in, the Wall Street machine took the stock higher. Nine separate institutional analysts issued STRONG BUY recommendations for the stock. Turning an initial $10,000 investment into $141,500 in bankable profits. When you know where to look, shadow trade opportunities happen constantly. Riding this wave with a shadow trade would have turned $10,000 into $352,700 in profits. You can see it once more in Netflix. 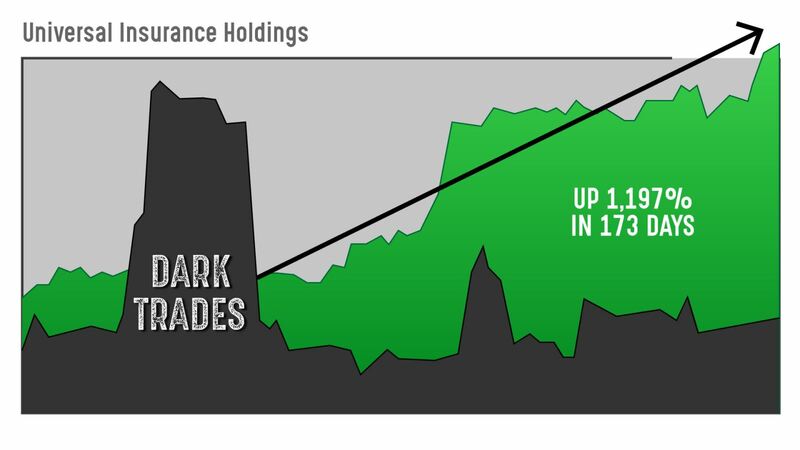 SRS Investment Management made a Dark Trade valued at $932 million around July 4. A few weeks later, Netflix started charging higher – just as expected. And by making the shadow trade, you could have collected an extraordinary 22,026%. That’s a $10,000 investment handing you $2.2 million in just three months! Now, gains like these are certainly rare, and as with any investment, nothing is guaranteed. And even a percentage of these gains could be an amazing jump-start to lifelong financial freedom. 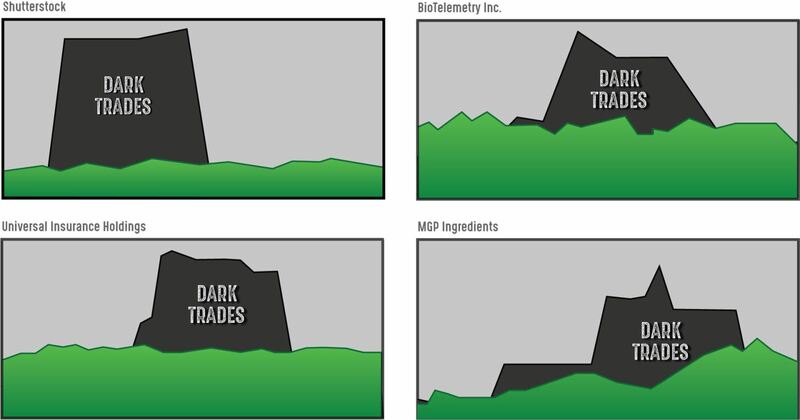 So why is shadowing institutional investing, including Dark Trades, so profitable? Here’s how you can use this to realistically make as much as half a million dollars on these waves of institutional money. 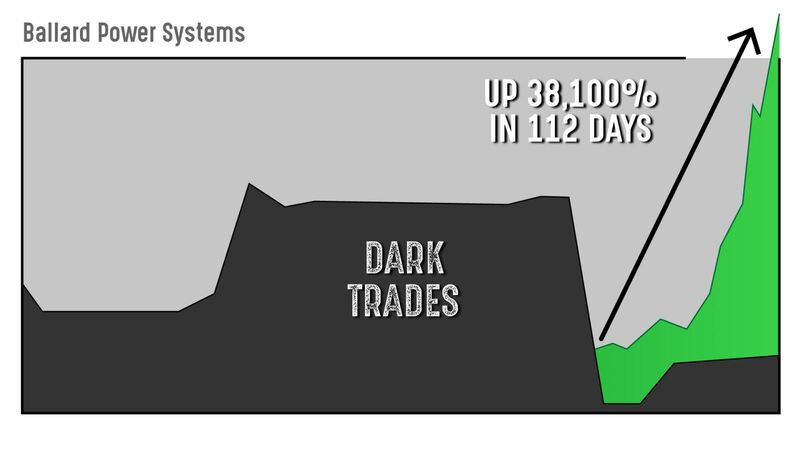 Starting in January and February of 2016, you can see the wave of Dark Trade purchases in Joy Global. All purchasing 216,000 to 685,000 shares each. You could have captured $287,000 in profits on a $10,000 investment. Another wave you could have caught was in February of 2016 with HMS Holdings. Both Joel Greenblatt at Gotham Asset Management and Paul Tudor Jones at Tudor Investment Corp. made Dark Trades. And cashed out on May 2 with a $90,300 profit. Then we have our third trade, which came just a few weeks later, in Medidata Solutions Inc.
No doubt you already know what happened next. The price shot up on the Nasdaq as mutual funds, analysts at the big trading firms and the financial press all pushed the stock higher. This time... a $10,000 investment would have returned a $137,500 profit. You still would have pocketed $51,490. Alex is blowing the lid off an $80,100 Dark Trade opportunity. And sending an email alert recommending a special shadow trade to profit from it. 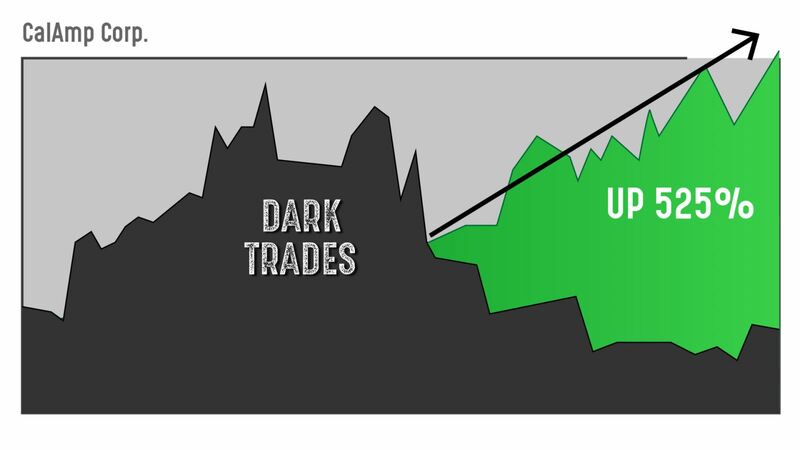 Greg’s life, as well as thousands of other investors’ lives, is being changed thanks in part to these Dark Trades. And as you can see, Alex is an expert on following this institutional money having worked on Wall Street for 14 years. Today, he shares the techniques he learned with regular folks to help them build lasting wealth. Alex sends his newest Dark Trade opportunities to a small group of people. But, until today, you may not have heard about Alex’s exclusive project to alert folks to these opportunities. It’s a research service called The Momentum Alert. 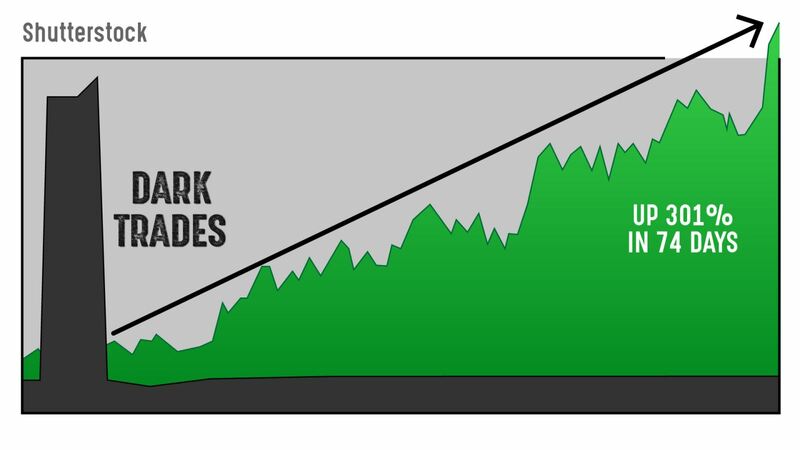 Where one simple shadow trade would have netted you 5,793%. If you’d invested $10,000, you would now have an extra $579,300 for retirement. And if you’d decided to make a smaller investment of $1,000 instead... you’d still have $57,930 to play with. Or $80,100 in profits on a $10,000 investment. But it could close as early as midnight tonight. So here’s what you need to know about Alex’s Momentum Alert. 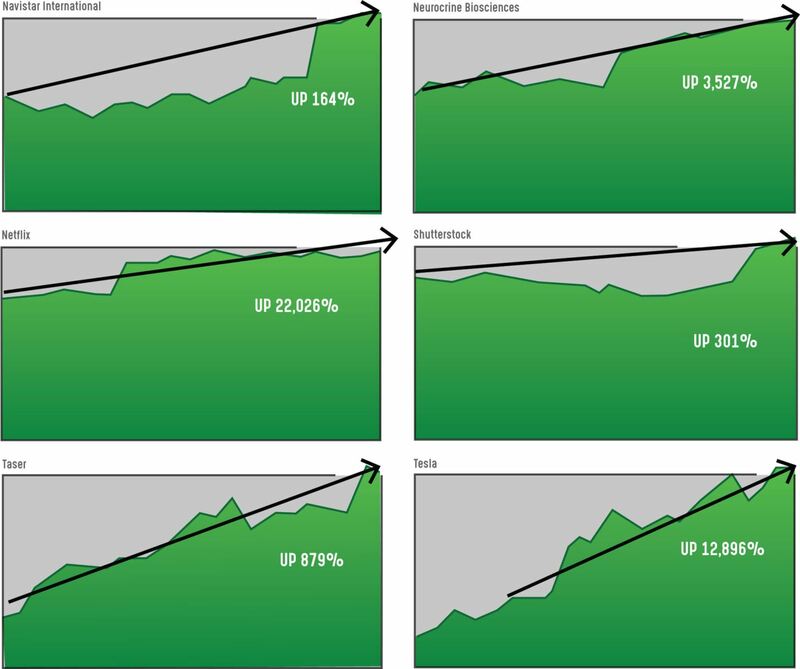 Momentum Alert subscribers are gaining a distinct advantage over nearly everyone else in the market. The alerts Alex’s readers receive are not complicated... We’ve heard from a few investors who are already following them in their ordinary online brokerage accounts. Alex is tracking multiple opportunities at any given moment. Right now, he says everything is setting up for a $80,100 opportunity. If everything else falls into place, he could soon send an alert out to his Momentum Alert readers. And, when the conditions are right, recommend companies whose stocks Wall Street is on the verge of pushing to new highs. 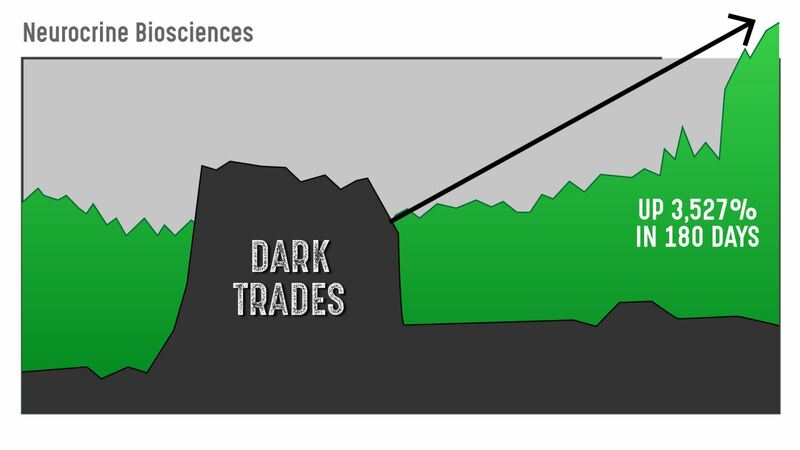 These Dark Trades are extremely powerful indicators... but Alex doesn’t look at institutional activity in isolation. He’s looking for the biggest potential gains. He, his team and his supercomputer system select the best Dark Trade opportunities available. They have great products or services in high demand. Often these are products that capture the imagination and make for exciting press releases. They have management that Wall Street has a history of supporting because of its stellar track record of success. They have good financials that analysts build their ratings on. For example, double-digit sales growth, three years of 20%-plus earnings growth and return on equity of more than 17%. They are within eight years of an IPO. If it’s too small, Wall Street won’t support it. If it’s too big, the profits are smaller. If it’s just right, it can be run up quickly. 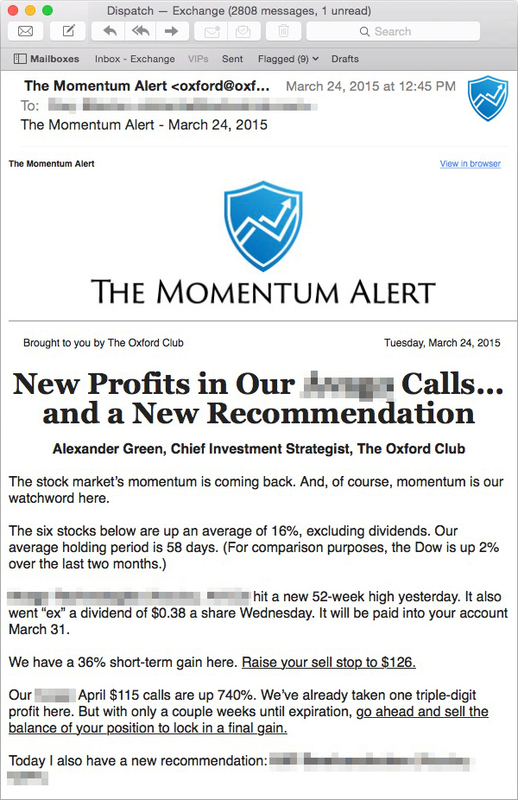 When you join The Momentum Alert, you’ll receive one to two of Alex’s top recommendations every single month. That’s 24 to 36 Dark Trades a year. And as you’ve seen, Alex’s technique has led to stunning and fast gains in regular stocks. But he also recommends a way to supercharge these gains to bring in multiples more. I’ve been calling them shadow trades. They are a very specific type of options trade you make immediately following a Dark Trade, essentially in the “shadow” of it. They’re designed to multiply your short-term gains. And their profits could have you living easy for the rest of your life. And now, in his Momentum Alert service, he’s aiming for this to happen to you too. The alert could go out any moment. Now, you’ll like the chart I’m going to show you next. But let’s run through the company behind this $80,100 opportunity first. 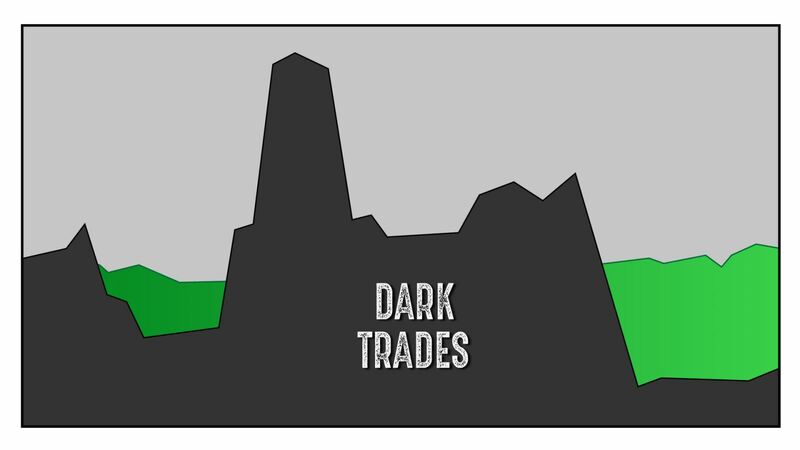 And now, MASSIVE Dark Trades are taking place. In total, 8.4 million shares have recently been traded... nearly 10 times this company’s average daily volume. That’s about as clear a chart sign of Dark Trade activity as we’ve ever seen. Alex believes Wall Street is quietly moving this stock on to the launch pad. Mutual funds will ramp up their positions on the regular market. Analysts will distribute stories to the financial press... and issue BUY recommendations. I believe this play could hand you $80,100 in the coming weeks. Especially when this strategy could help you retire sooner than you thought possible. So How Soon Could You Retire Here? You could have cashed out your position for a $304,000 in 175 days. And cashed out with $184,000 in profits in 48 days. And cashed out with a $579,000 profit in 80 days. Sure, it’s rare and exceptional to make a million dollars... timing it just right like this... starting out with just $10,000 in each position. But imagine this... you could even start out with only $3,000 and you could pocket a million dollars... in a single trade. 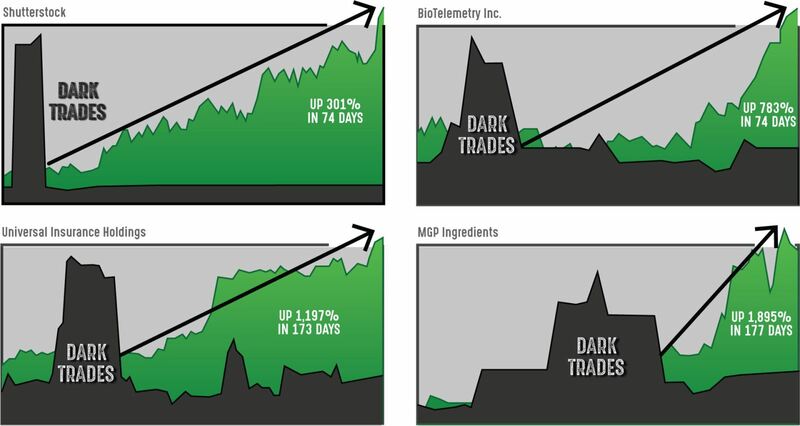 Because if you tap into these Dark Trades, life-changing profits like this could be right around the corner for you. ONE $3,000 TRADE – A $1,143,000 PROFIT! PEAK6 Capital, Renaissance Technologies, Millennium Management and three others also quietly took dark market positions. And you’ll see situations like this again and again as a new Momentum Alert subscriber. 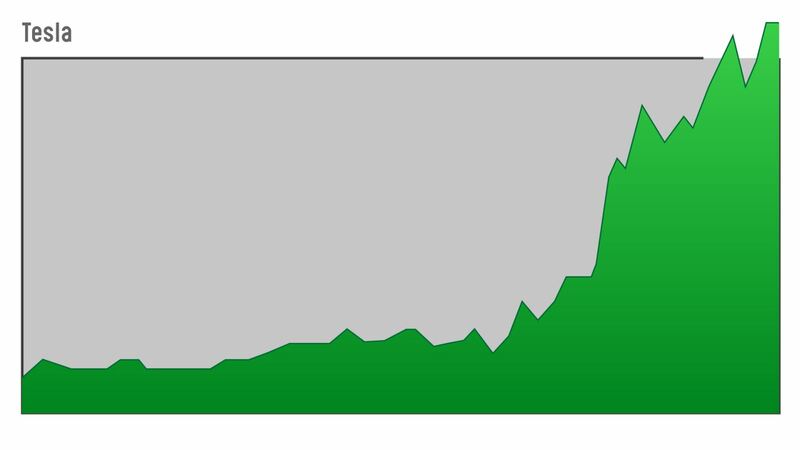 If you had gotten in during this spike, you could have captured an exceptional 38,100% gain in just 112 days. So how much would it have cost to make a million dollars on this momentum stock? A small $3,000 investment could have handed YOU a $1,143,000 profit. Of course, what’s happened in the past is not necessarily an indication of what will happen in the future. Plus, there’s always risk in investing... and you shouldn’t trust anyone who tells you anything to the contrary. 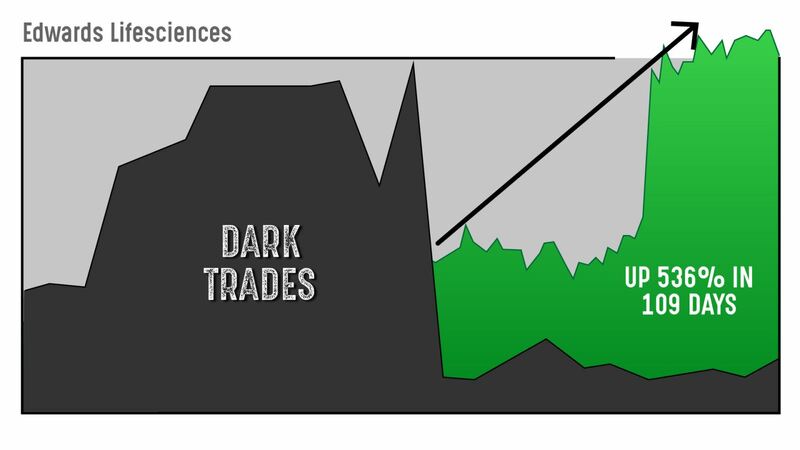 But Dark Trades might be the strongest indicators you can find that a stock will hand you the biggest gain of your life. And that could lead you on the financial path to freedom you’ve always dreamed of. So, will you be the next to cash in? Will You Be the Next to Cash In? That’s your choice right now. Unfortunately, not everyone may be able to afford a subscription to The Momentum Alert. The price for a subscription is $4,000 a year. That’s a hefty (but fair) price. Especially considering a small $3,000 investment in the type of trades he’s following could hand you $1.1 million in profits. Plus, you’ve heard the praise of those who are following Alex’s shadow trades right now. We know what gains like these could do for you and your family. And are about to see massive gains. These email alerts are easy to read. Alex makes it as easy as possible for you to get involved in this smart new way to make money. As a Momentum Alert subscriber, each month you’ll receive one to two recommendations just like this one. Plus, you’ll receive progress report emails with his latest thoughts on all of his open positions. As soon as you order, you’ll receive your username and password to the subscriber site where you can see all of his research and open and close alerts. There’s no waiting until tomorrow here. And the thing you have to do is take a big swing. It’s no time to be reading a book on diversification. You take your thumb out of your mouth and barrel in. And once these discounted subscriptions are gone, the doors will close. Take that big swing now. To get you to step up to the plate, we’re also giving you a full six-month performance and money-back guarantee. Without risking a single penny. You can cancel for a FULL refund any time in the first six months. This 80 grand opportunity is setting up. It could happen as early as midnight tonight. Again, this is a Dark Trade that’s happening RIGHT NOW. In total, 8.4 million shares have just traded... nearly 10X this company’s average daily volume. Alex believes Wall Street is quietly moving this stock onto the launch pad. And you know what will happen after it does. Alex has already handed his Momentum Alert subscribers 45 triple-digit opportunities to profit with an average 290% gain... including partial plays. This next recommendation could fall into place moments from now... and the alert could soon hit your inbox. Swing big like one of Alex’s readers... Peter Mangini did. Alex Green’s advice has secured my retirement before I turn 60. Act decisively... while you still have the opportunity to join him. Right now, there’s a tiny window to get in on an $80,100 opportunity.